Today is the 51st birthday of Joe Tucker, the Executive Director at Rate Beer. 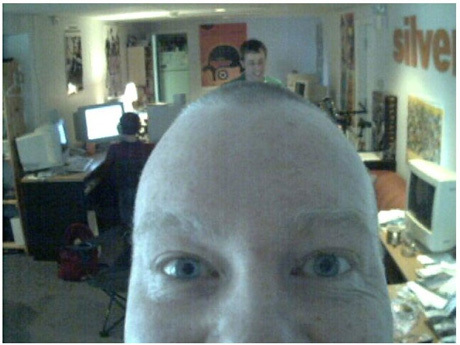 He used to run the website from his Vineyard bunker in Sonoma, California, although last year he relocated to the Rose city of Portland. 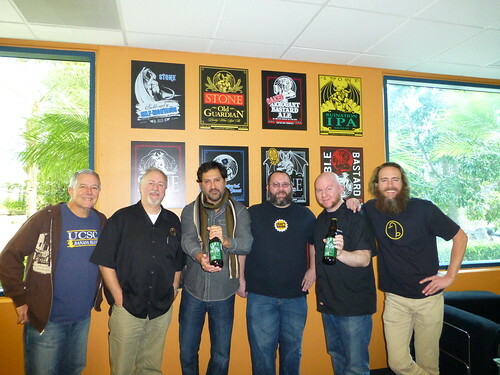 Because I’m in the Bay Area, I used to run into Joe from time to time, and usually at the annual hop picking day at Moonlight Brewing, though we flew to San Diego together a few Decembers ago to visit Stone Brewing, too. More recently, he asked me to be the Emcee for the Rate Beer Best awards held in late January in Santa Rosa, which was great fun. Join me in wishing Joe a very happy birthday. 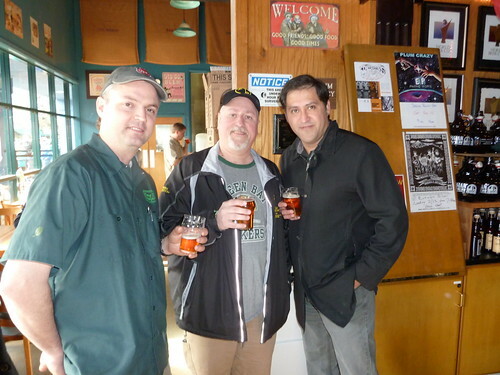 Vinnie Cilurzo, me and Joe at the Pliny the Elder release a few years ago at Russian River Brewing. 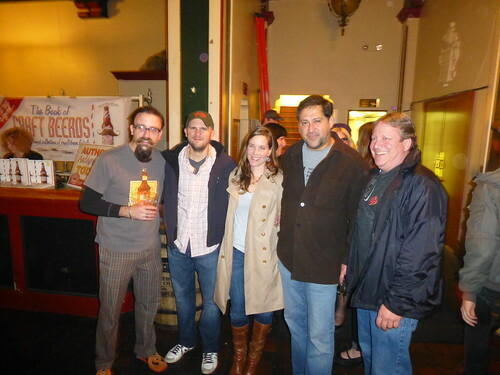 Joe with some of the Hop Press staff — Ken, Ashley, Mario and Mark — at Triple Rock’s Sour Fest 2010. At Fred Abercrombie’s Craft Beerd’s book launch party at Taps. 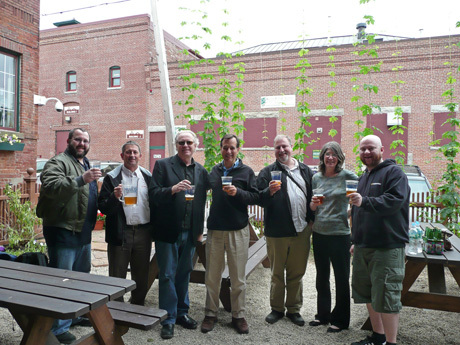 Left to right; Fred Abercrombie, Ken Weaver, Anneliese Schmidt, Joe and Ron Lindenbusch, from Lagunitas. 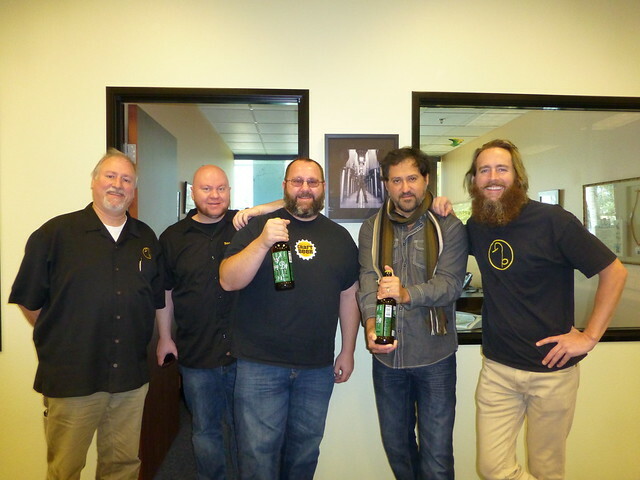 The day after we tried all of Stone’s Vertical Epic’s in San Diego; with Steve Wagner, me, Joe, Jason and Todd Alstrom and Greg Koch. 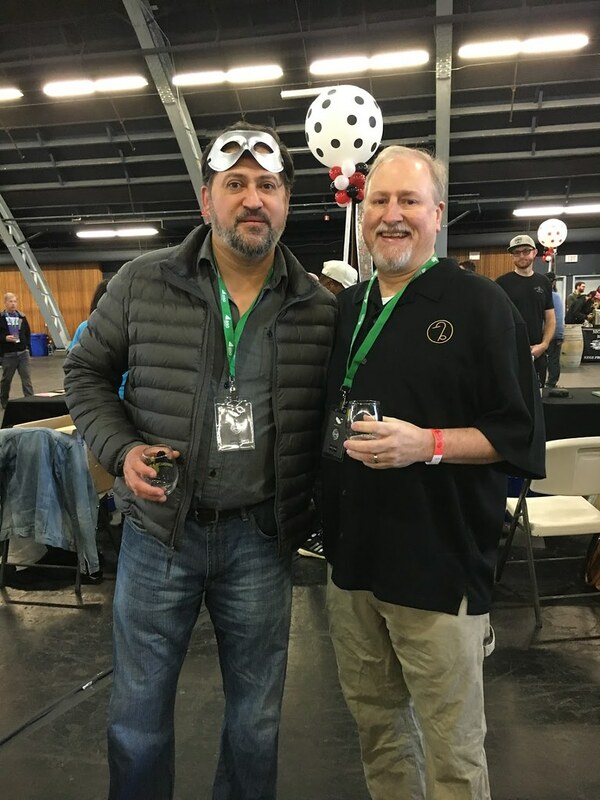 Joe and me at this year’s RateBeer Best festival in Santa Rosa. Rounding Up Session #141: What Does The Future Hold? Appellation Beer Blog – Long Live Beer Blogging: In his post, Stan, who created The Session, is ever hopeful and while he believes The Session is ready to be put out to pasture, he’s confident that beer blogging itself is not dead, but just one of many tools in the writer’s toolbox of ways to reach an audience. Like any technology, it’s continually evolving and happily a “diversity in beer storytelling” will go on. Hear, hear! 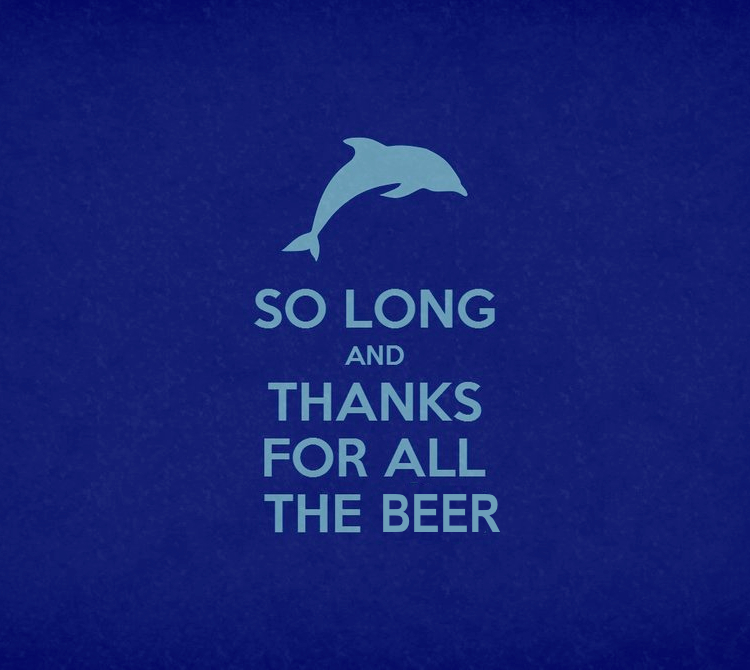 The Beerverse – Goodbye, Session. Hello, Something Else?? : Dean has been writing about beer now about five years and is a true blogger in Alan’s sense of the word, meaning he’s blogging for blogging’s sake. (Full disclosure, Dean was a student of mine when I taught my beer class at Sonoma State University, although I’d met him before that.) While he never did host (although he came close a couple of times), he did participate and even reached out about what he could do to keep it going. He’s come up with a plan to do something similar through a bi-weekly newsletter he publishes, so give his post a read and see if that’s something you could get behind. 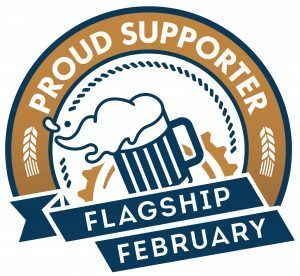 The Brew Site – The Future of Beer Blogging: Jon Abernathy, who’s been a host multiple times, continues Stan’s line of reasoning, more forcefully perhaps, that beer blogging isn’t going anywhere. A point which I actually agree with, but which I just stated less elegantly, opening the door for him to rightly school me (us) about how ubiquitous the blogging platform is, it’s just that it’s morphed into many different, sometimes unrecognizable, forms. 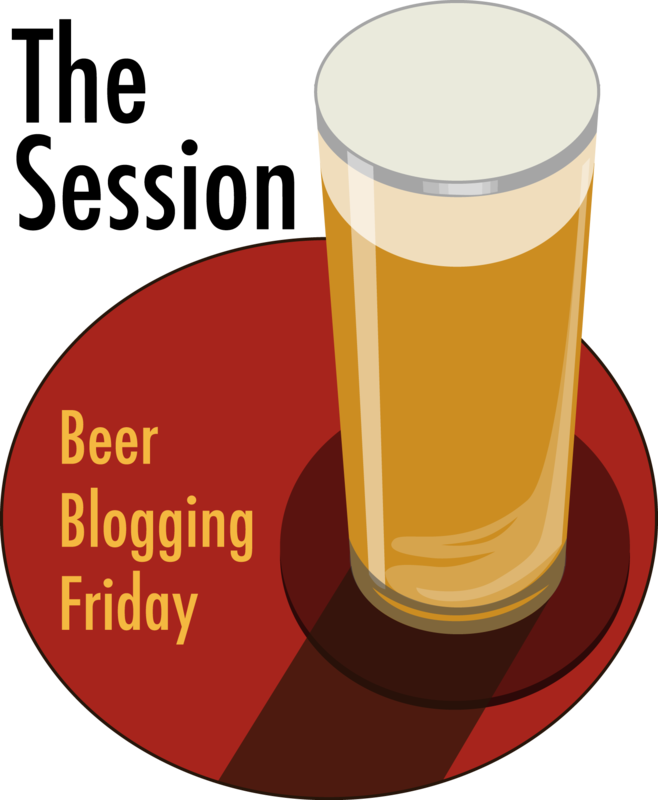 And while in part I was referring to the traditional standalone blog of one person writing from their perspective, I take his meaning and “get his point.” As he concludes, “Beer blogging continues on.” And so it goes. A Good Beer Blog – The King Is Dead! Long Live The King!! : Alan also points out that “beer blogging is one type of writing in a broad range of formats,” but believes “[i]t’s the only one that provides for long form creative writing on anything that strikes the author’s fancy, without concern for pay or editorial intrusion.” And I agree with him that that aspect was certainly one of its hallmarks and likewise agree that “there is a place for such things.” The simple idea of us all taking up a discussion of a single topic was, simply, genius, and has been a highlight of the last decade. Like Alan, I hope we can find something to replace it that truly gets a lot us wordy types energized and excited. If you know of any Session posts I missed, or if I missed yours, please drop me a note at “Jay (.) Brooks (@) gmail (.) com.” Happy Holidays. The final Session will be hosted by the man, the myth, the legend, Stan Hieronymus at his Appellation Beer Blog. 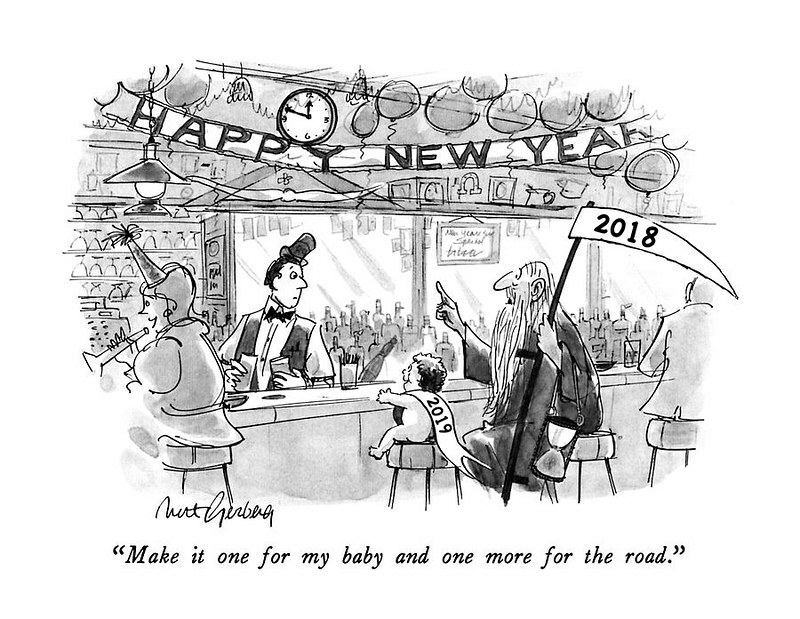 His topic will be “One More for the Road” The date for the next Session will be a day which will live in infamy, December 7, 2018, although Stan will give everybody a few more days and won’t be posting his roundup until the 12th. It’s only one more, why not help us go out with a bang and participate in the final Session? For our 141th Session, our host will be me again, which will make sense shortly. As you may know, I write the Brookston Beer Bulletin, and have been involved in The Session since Stan Hieronymus first conceived of it in 2007. 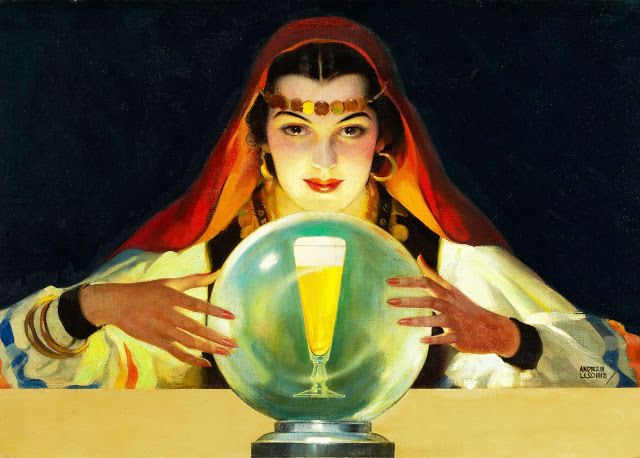 For my topic, I have chosen The Future Of Beer Blogging, which seems to be changing a lot lately, I believe, and is certainly different than it was ten years ago. 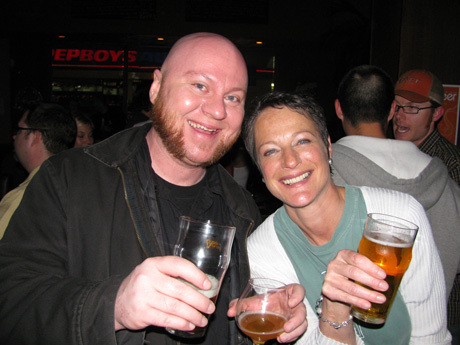 My topic is fairly broad and open-ended, but centered on what has happened to beer blogging over the almost eleven years since we started the monthly Session. Back in those dark ages of the mid-2000s, beer blogging was relatively new, and many people were jumping in, no doubt in part because of how easy and inexpensive it was to create a platform to say whatever you wanted to say. It was the Wild West, and very vibrant and engaging. You could write short or long, with or without pictures, and basically say whatever you wanted. People engaged in commenting, and whole threads of conversation ensued. It was great. We love bloggers. But after many discussions with key players, we have determined our community has reached consensus that the term “bloggers” is too limiting. Blogging, after all, is just one medium used by beer writers. 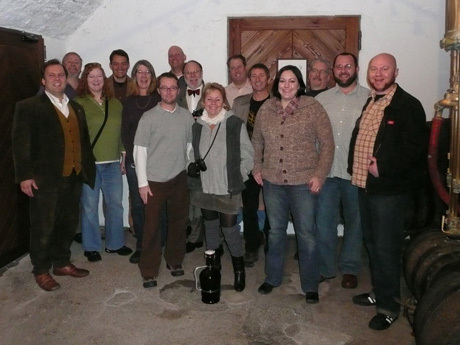 Even with our switch in 2015 to the name Beer Bloggers & Writers Conference, we believe we are not including those who primarily communicate on beer via podcasts, photos, and video. 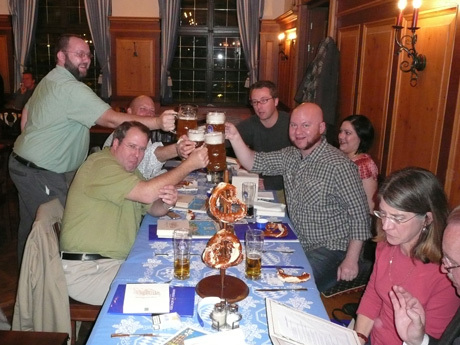 So where do you think the future of beer blogging is heading? What will it look like next year, or in ten years? Will it even still be around? If not, what will replace it? People won’t stop talking about beer, analyzing it and tasting it. But how we do all of those things certainly will. That’s what I’m interested in with this topic. What do you think the future will hold? 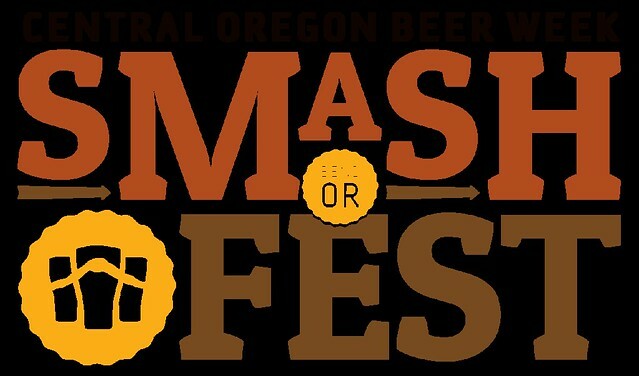 What will we all be doing, beerwise? To participate in the November Session, simply leave a link to your session post by commenting to this announcement, or email me, ideally on or before Friday, November 9, or really anytime this month. 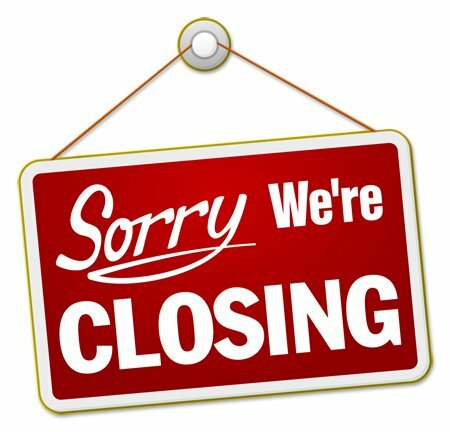 Since this is late notice, and our second-to-last Session, take all the time you need. Participation in The Session has been waning for quite some time now, and finding willing hosts has become harder and harder. I’ve had to cajole and beg for hosts many times, and I’m not sure why I’ve kept it up other than we’ve been doing it so long that I just kept going out of habit. But the reality is that if people don’t want to host and fewer and fewer people are actually participating I’d say that’s a pretty strong signal that the time has come to shut down the Session. So in consultation with Stan, we’ve decided that December 2018 will be the last Session. It’s been over ten years and by the time the smoke clears we’ll have done 142 Sessions, which is a pretty good run. Thanks to everybody who’s hosted and participated over the years. 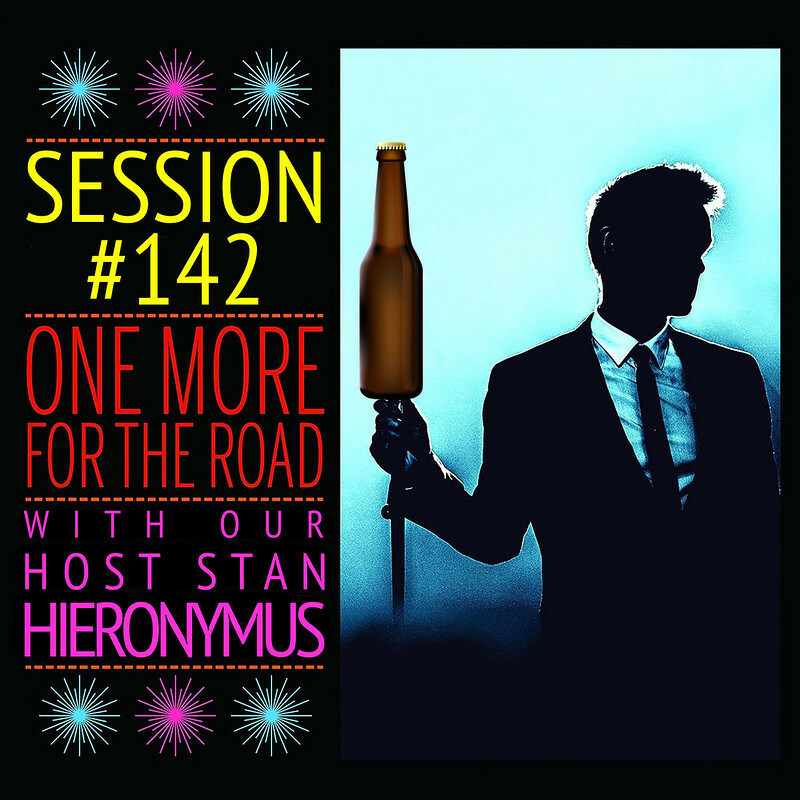 After this Session, there will be one more, and I could think of no more fitting host than the man who started it all, so Stan Hieronymus has agreed to be the final host to put a bookend on this grand 11-year adventure. So by next year, The Session will be a distant memory. Now what? Is there something else we could, or should, be doing as an online community of people who write about beer through the internet? I don’t know the answer. I hate to see this end, but people’s priorities and methods of communication have been evolving so I’m not sure in what form we could keep any engagement going. But I can start a conversation. So let’s discuss. 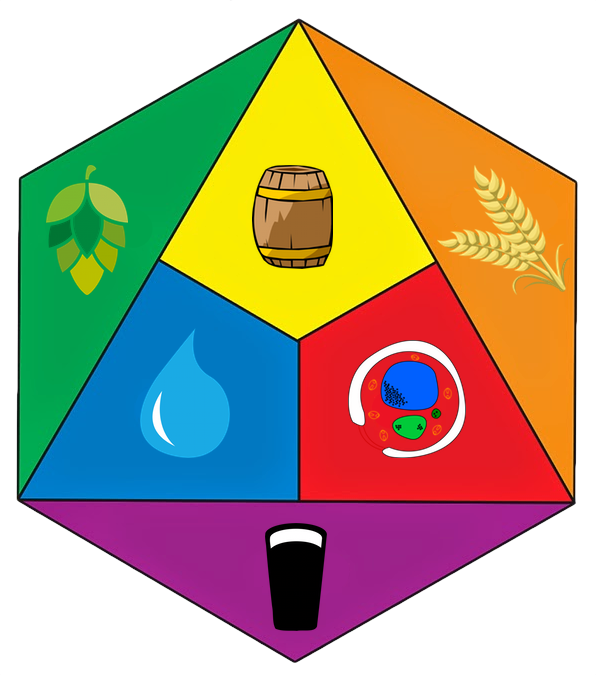 As a coda to this month’s session, please consider what we could do as a group to remotely weigh in on the beer world from time to time. Maybe the answer is nothing. But maybe it isn’t. As a bonus topic, what ideas do you have for what to do next? 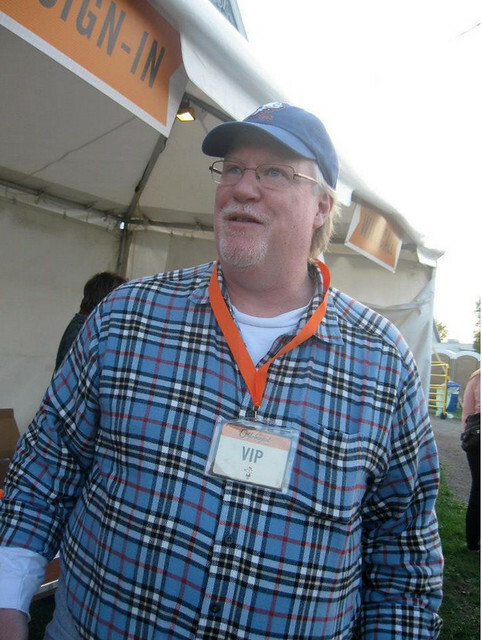 Today is beer blogger extraordinaire Alan McLeod’s 55th birthday. 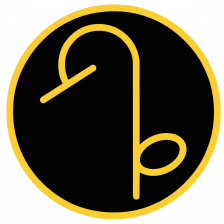 Alan runs a good beer blog, called — curiously enough — A Better Beer Blog, which replaced his earlier “A Good Beer Blog.” I’m not sure what came first, the goodness or the blog. 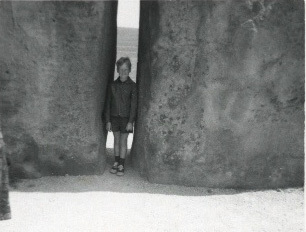 Anyway, though I’ve yet to meet Alan in person I feel as if he’s already a great, not just good, friend through our many conversations via e-mail and commenting on one another’s blogs. If you haven’t read his essay in the book Beer & Philosophy yet, rush right out and buy yourself a copy. 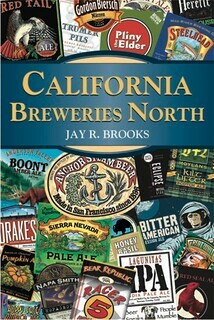 He also published The Unbearable Nonsense of Craft Beer, with Max Bahnson, available as a Kindle single on Amazon, and last year co-wrote both Upper Hudson Valley Beer and Ontario Beer: A Heady History of Brewing from the Great Lakes to Hudson Bay. Join me in wishing Alan the very merriest of birthdays. Cheers, mate. 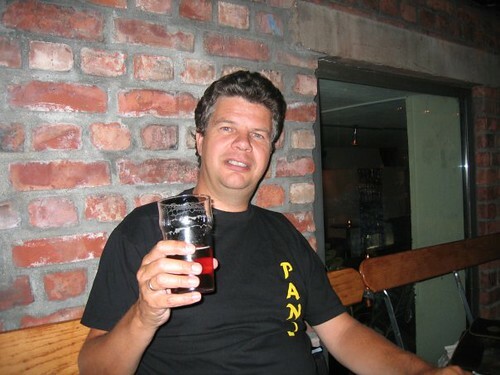 Today, it’ also the 58th birthday of Knut Albert Solem from Oslo, Norway, who has one of the premiere beer blogs in Scandinavia, Knut Albert’s Beer Blog. 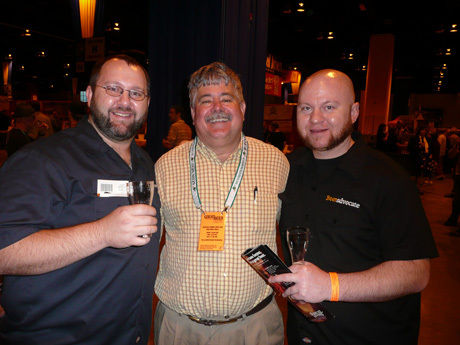 Though I’ve never met him in person, we have corresponded a time or two through blog comments or e-mail and I certainly enjoy his perspective on beer. Join me in wishing Knut a very happy birthday. Hoisting a pint (photo nicked from Knut’s Facebook page). 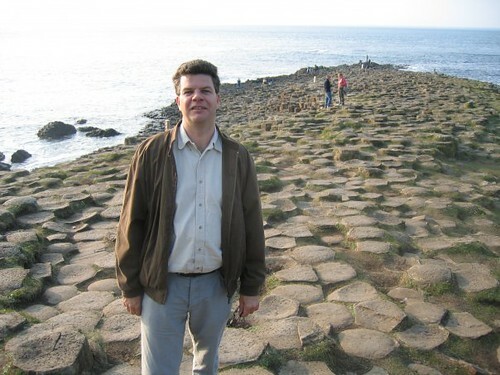 Knut near water, the Giant’s Causeway in Northern Ireland actually (ditto). The encounter: Do you remember your first NEIPA – if so, what was that like? Details, please. And how has your perception of the style changed over time? Or the name game: What style name do you prefer to describe the trend … why choose that one, and why are the other names unworthy or short-sighted? Does “IPA” still apply in a way that’s helpful to drinkers? Or setting standards and defining flaws: What makes a classic example of the style? 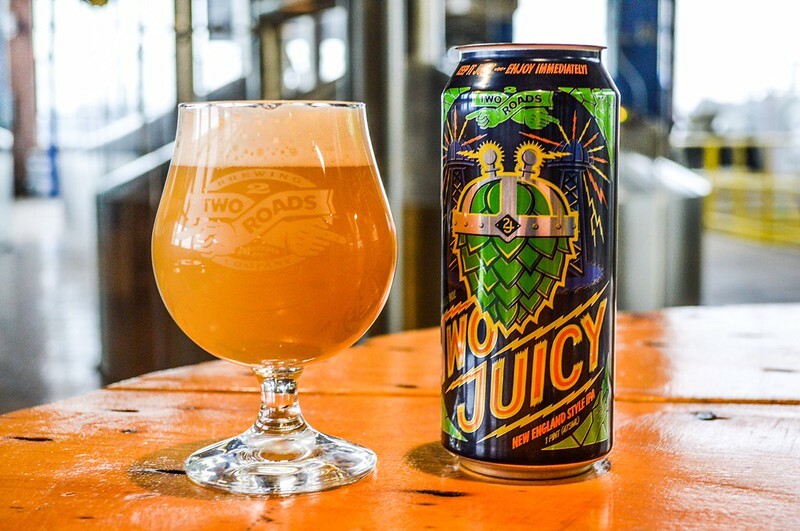 What makes an IPA simply an unfiltered dry-hopped American IPA without much clarity instead of part of this style? 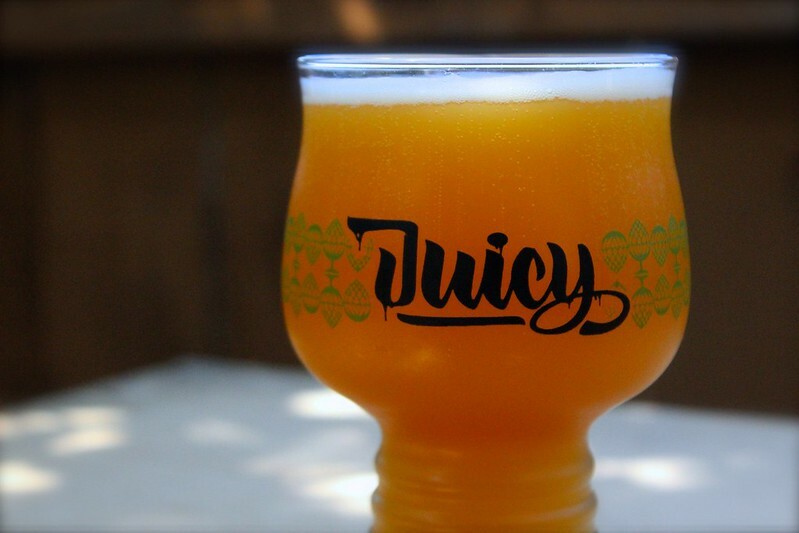 What about the sweeter “milkshake” IPAs – part of this style definition or something else? What flaws make for weak examples of the style? 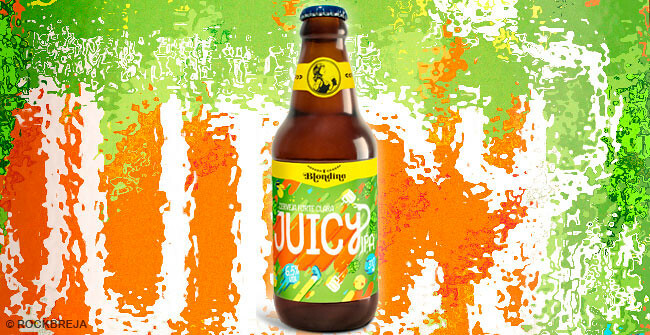 Or maybe, where should the numbers be for this style – abv, ibu, color and clarity, etc.? 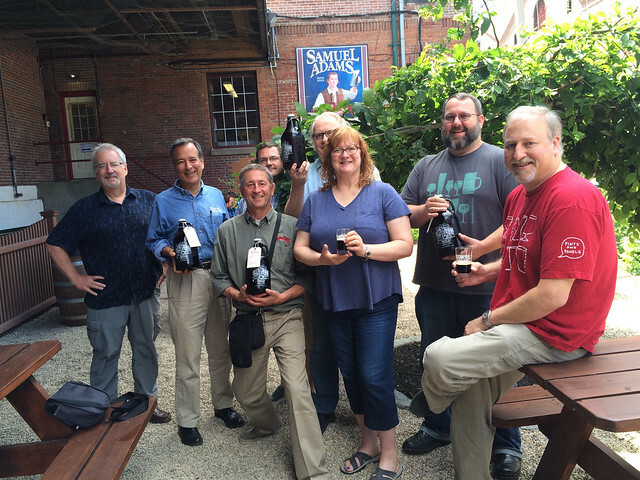 What tasting instructions would you give to judges of these beers? Or take another angle, tell another tale! 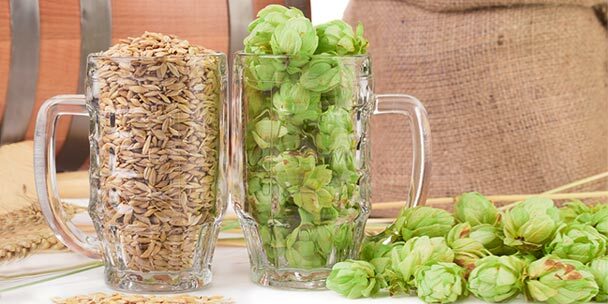 Have you been writing about these beers for several years now and watched them evolve? Know something cool about the making of these beers, the people behind them, their spread to the UK and Europe? Choose any angle and make it yours – they’re just ideas to get us thinking, not a questionnaire. And if you have zero interest in such a beer, just say why in the fullest detail. Have fun with it! Answer my question above. Are they trendy? When would they be considered to be trendy? Have you seen/had a variant (x-infused, fruit, …) single malt and single hop beer? More than one? 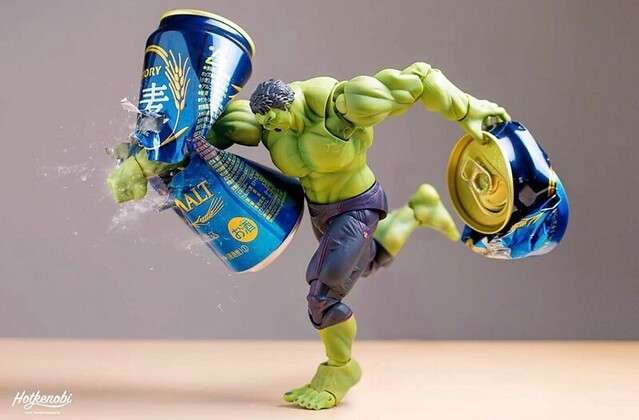 What purpose do SMaSH beers fill? For you, personally, and/or generally. Do they fill a niche in any beer style space? One that matters to you? Are they a “style,” however you define that? Have you ever had an excellent one? As a SMaSH beer or as a beer, period. Do they offer anything to drinkers, especially non-brewing drinkers? I consider this to be wide open and am interested in your thoughts, whatever they are, regarding SMaSH beers. I sincerely hope this is not too limiting of a topic in the number of people who have tasted and/or brewed single malt and single hop beers. I did try to find anything specifically directed more to the drinker/general consumer rather than the brewer but I could not find any. I would be interested in anything along that vein any of you have seen. For instance, neither Mosher Tasting Beer, 2nd ed. or Alworth, The Beer Bible or Oliver, ed., The Oxford Companion to Beer have anything on SMaSH beer, although single-hopped does make an appearance in some of these. To participate in the July Session, on or before Friday, July 7, 2017, write a post and either leave a comment to the original announcement, e-mail your post’s link to mark . r . lindner @gmail . com or tweet him at @bythebbl.